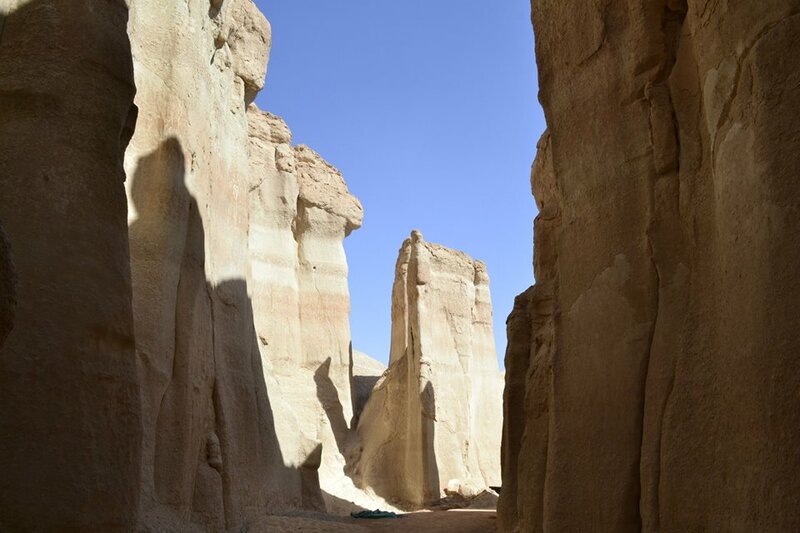 Al-Hasa is the largest oasis in Saudi Arabia and the must visit place in there is caves of Qara mountains (Jabal e Qara in Arabic). 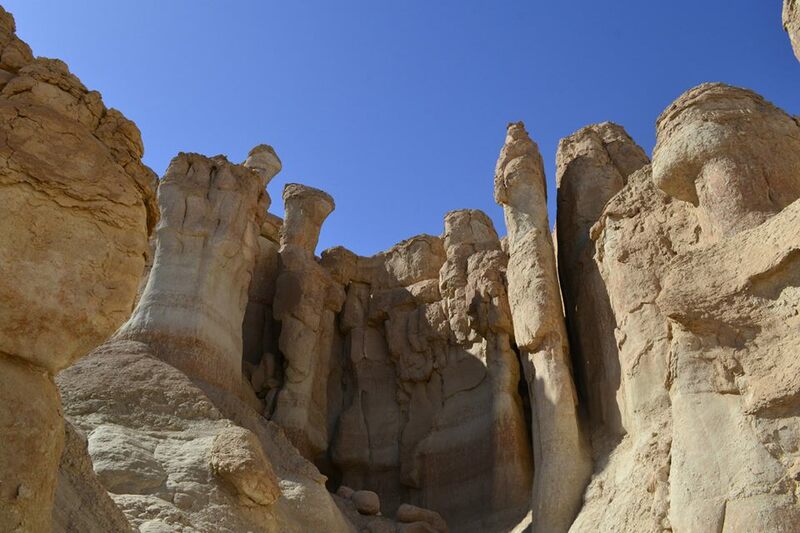 These mountains are made of sediments and are located near Hofuf city. 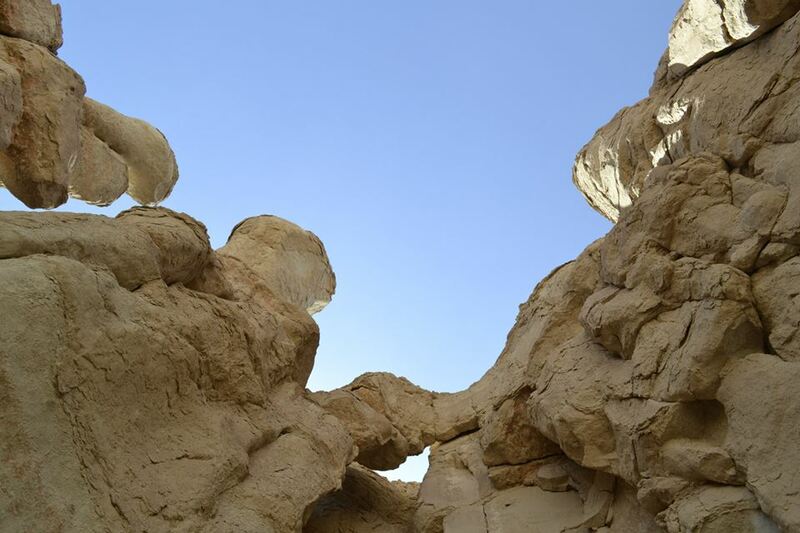 Since this place was just 150 km away from Al-Khobar city. 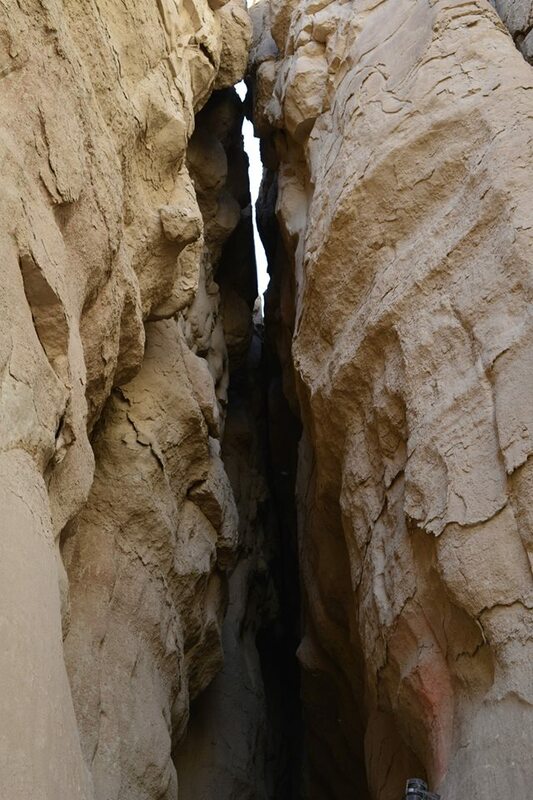 I made a plan of one day trip with my family to explore the alleys of Qara mountains. We left 8 o’clock in the morning and within couple of hours, we were at the entrance of caves. I was thinking that the place would be deserted but I was surprised to see a number of visitors were already there. It was a bright sunny day and temperature was escalating before noon. However as were approaching towards the cave, we were feeling slight decrease in temperature. Once we entered the alley, there was noticeable difference between outside and inside temperature. It was pretty cold inside. 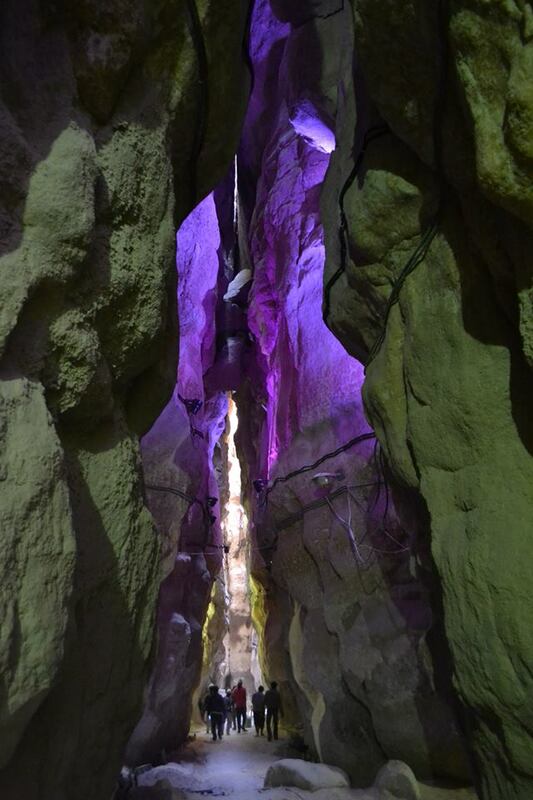 Sky can be seen at the entrance through the cave walls. It was getting darker and darker as we were moving in. 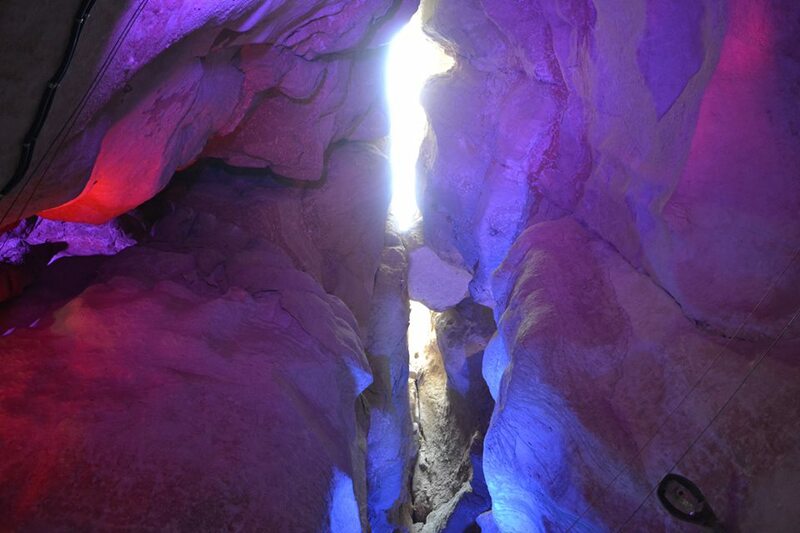 However there were some colorful lights mounted at different elevations, probably by the local administration, which were enhancing the beauty of the place. Peeping through the cave walls. 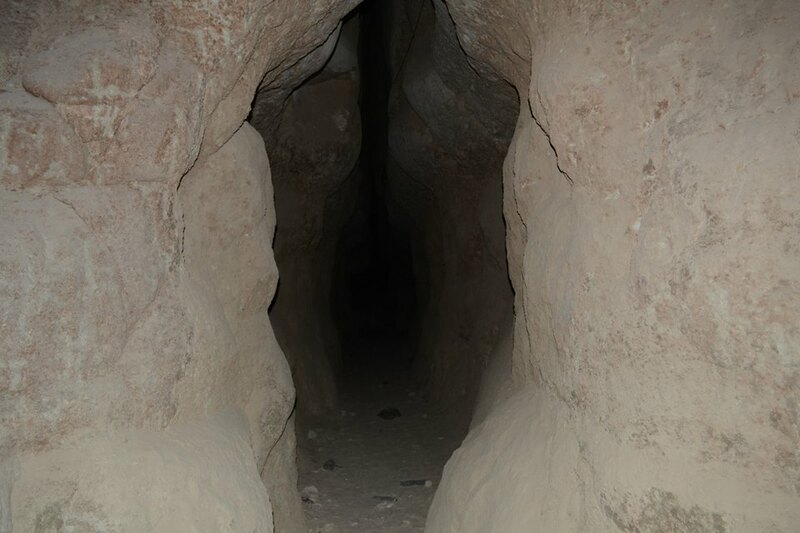 Although sun was shinning at its full outside the caves yet there were many areas inside which were in complete darkness. Lamps were not installed at these places and a torch was required to move along. We didn’t have a torch but we managed to continue walking using mobile phone’s flash. Some areas were in complete darkness. Torch was required to roam the space. 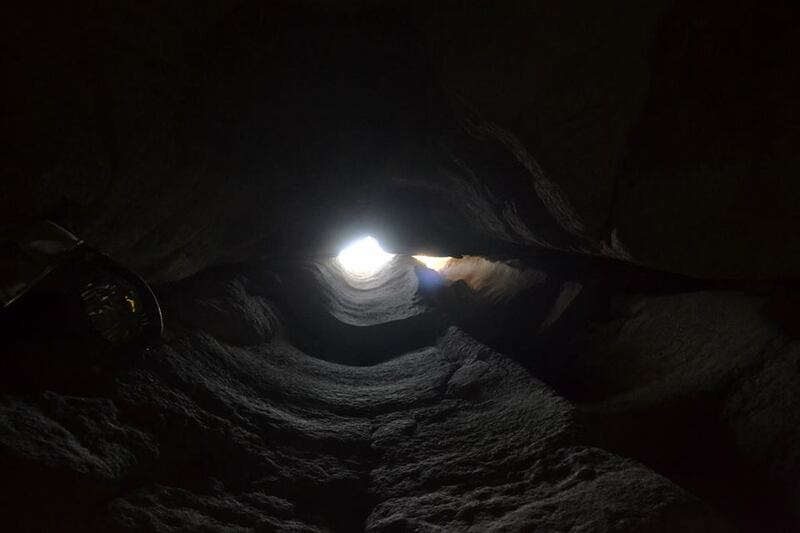 Light coming down through a hole. Due to darkness, I was unable to focus my camera. I simply clicked in the darkness and the result was below pic. 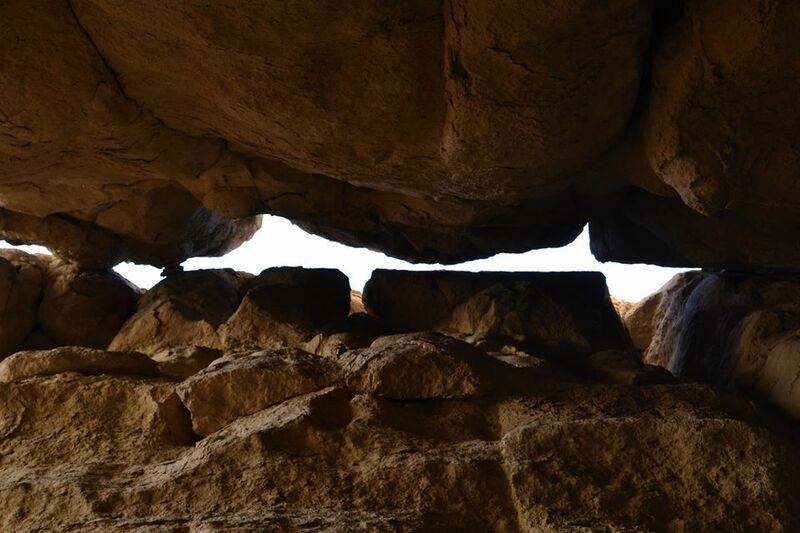 After spending one and half hour, we decided to leave the caves and explore Hofuf city. As soon as we stepped outside, warm gusts were awaiting us. 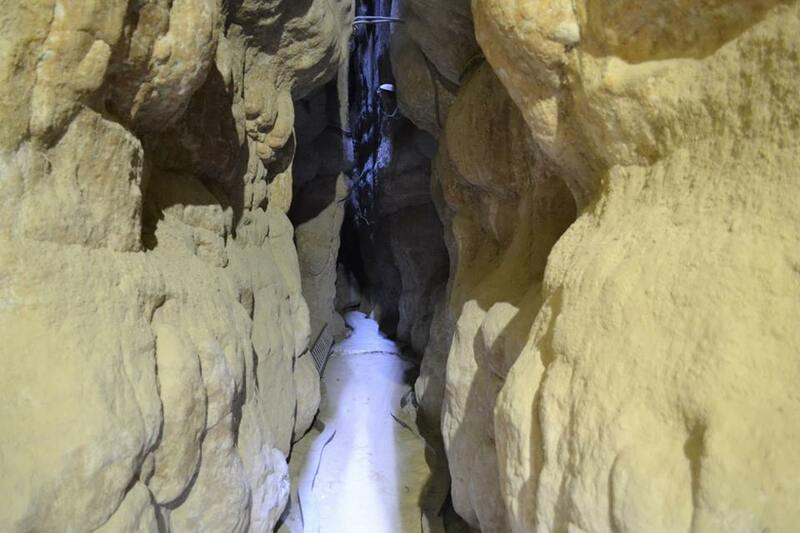 We wished to go back to the pleasant atmosphere of caves till afternoon. But we were short of time. So we had to abandon our desire and kept walking towards our vehicles. Front view while exiting caves. When we reached our parking, we saw two locals who were selling some artifacts. We didn’t purchase anything though. 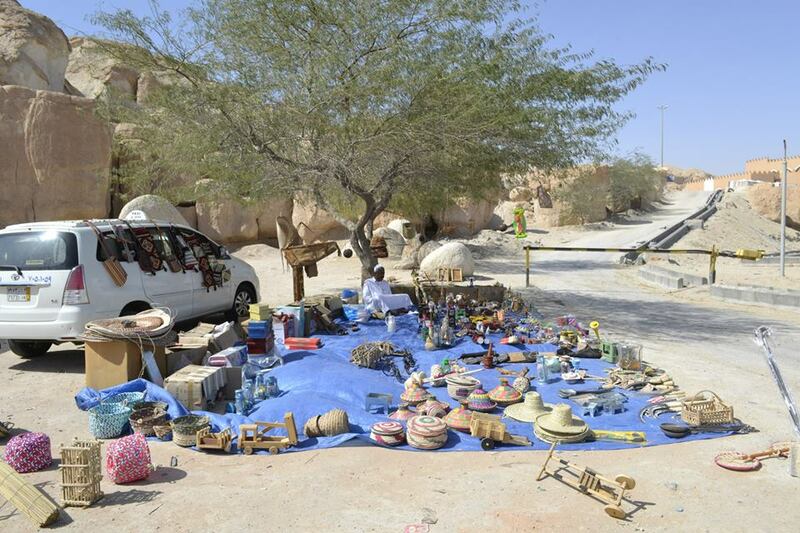 Locals selling some handicrafts outside Qara caves. Finally, we left the area to explore the rest of the city. I will blog about that some other time. 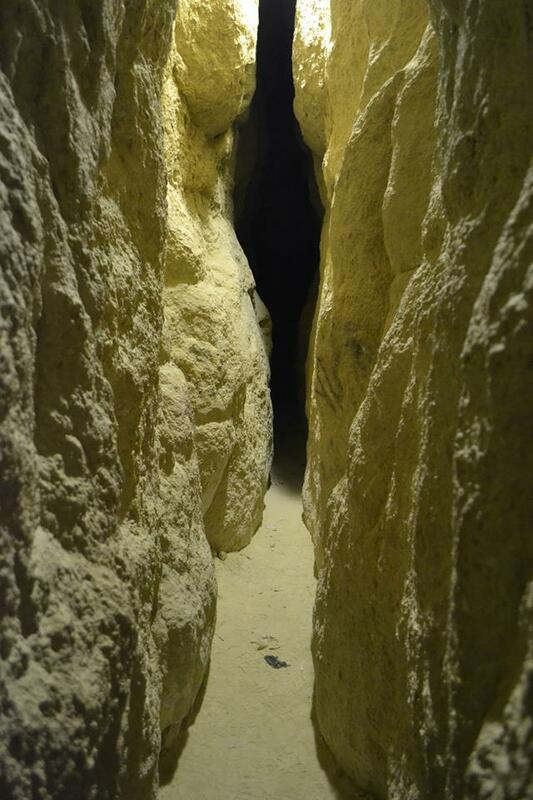 However Qara caves expedition was definitely the most engaging than other activities. PS: The starting point of my route is indicative only. Great. seems you are a professional cave hunter. Did you take these pictures yourself? this is one of my to-do list ..
i’ve been wanting to explore the mountains and the caves in the saudi. now i have a complete reference.. This looks incredible! I wanna go! On a sidenote, could you tell me how you got the column with stats and categories and such on the right side of your blog? Thanks for liking. You can visit flagcounter.com, make a profile for free and at the end, you will get a text code. Copy/Paste that code to TEXT widget in your wordpress site. To do so, go to WP ADMIN>APPEARANCE>WIDGETS>TEXT.